Did you know that we run a course on how to start a coffee shop? Can you offer me any starting advice on setting up a coffee shop? We understand how hard it can be to find good advice when running or starting a coffee shop. There are many things to think about. We will try to write the things here that we think make a good coffee shop and we keep updating this all the time. Happy reading! You are always welcome to meet up with us for a coffee. Please feel free to contact us with your enquiry. And of course remember that we teach courses about coffee and starting a coffee shop on a daily basis. If you have a passion for serving delicious speciality coffee and if you enjoy socialising then you will most likely do very well. You have to really enjoy the job and the life. When you introduce your customers to coffee and you show them what you do then you are a bit more special than your competitors. Why not show them how your coffee grows and how it is roasted. Have a wall or display with information about your coffee and demonstrate to your customers what you are all about. 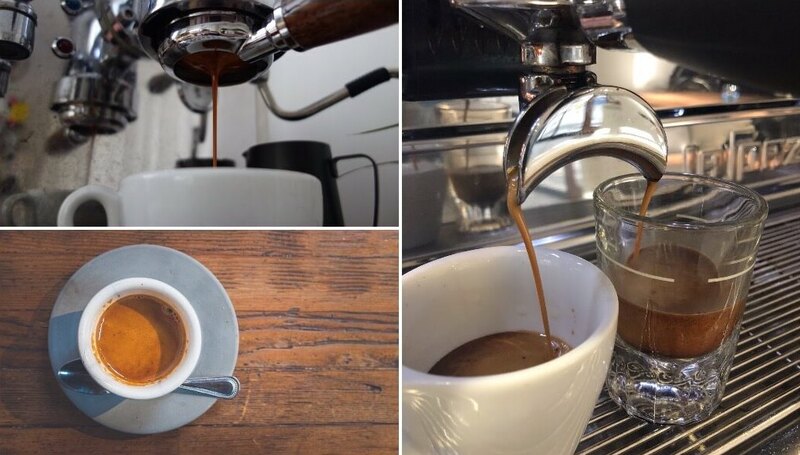 When your customers asks about the coffee - and believe us they will when you serve them something really special - explain what makes it so good. Explain that it is freshly roasted and freshly ground. Tell them that you use fresh milk for each coffee and that the coffee is handpicked and not mass produced. Show your passion, pass it on to anybody and just believe in what you do. Do not preach and do not talk bad about competition. Do your own thing, do what you love doing and before you know it you will be so busy that you struggle coping with the amount of customers that come through your door. That is what we call a luxury problem! Speed comes with experience and with an effective layout. The layout behind the bar is extremely important. Try to make it all compact and minimise the distance from espresso machine to serving counter. Make sure that your customers are close to the espresso machine and have it angled in a way so that your customers can see everything. Have the milk fridge and the serving counter close to the barista so drinks can be poured in front of the customers. A good layout will increase work flow significantly and in the end make you more successful. A good working area means that you can take your time to make a superb coffee and you won't need to rush. Come and see us and we will help you out a little more regarding the layout of your counter. It is extremely important. The coffee shop market is booming. This is very much a growing industry with more and more independents popping up and chains rapidly expanding. Going out for a coffee is becoming more and more part of the UK culture which is fantastic to hear. We feel this is due to the hard work that the baristas, coffee shop owners and suppliers have done. The continuing promoting of quality coffee and a wonderful experience has led to a growing industry that we are proud to be a part of. There are now over 25,483 (24,061 in 2016, 22,000 in 2014) coffee outlets - this includes just over 8,149 branded chains - in the UK with a turnover of almost £10.2 billion. The market grows with over 7% per year. The branded chains account for about 1/3 of the turnover. We still believe that the main reason for visiting a coffee shop is location, followed very closely by quality of coffee and quality of service. But please don't underestimate the importance of the quality and excitement of your food offering. The average price of a cappuccino or latte is around £2.40. Question is how important is this really? Do people really decide whether they come back or not because your coffee is 10p cheaper than the shop next door. Isn't it more important to add value to your product? Average spend per person in a coffee shop is around £4 and this is something to work very hard on. That is of course an overall figure. During lunch this figure is very different and you might run the kind of shop where your average spend is much higher. The average spend is a mixture of spending per head and amount of people that you have coming through your door. The type of service you run (table, counter or a mix) can greatly impact on your average spend and in return make a significant difference to your P&L accounts. The caffe latte is most likely still the most favourite coffee although we are seeing the coffee world going towards smaller and more specialised drinks such as the flat white, the piccolo latte and the cortado. And of course, this makes us very happy. It gives you the chance as a coffee shop owner to offer your customer two coffees instead of one large drink. Better for everybody. Drink coffee little and often - at least that is what we do! It seems that about 3/4 of your customers are looking for food as well as coffee. That is really important to realise - can you survive on just good coffee alone? The big brands are growing fast so it is important that you stand out as an independent. Look for what makes you different, get your passion across, offer a personalised service and keep up your service and quality. Staff training is still one of your most important activities as a coffee shop owner. Coffee is definitely becoming more an everyday beverage. Wonderful! How to build your business and get new customers for your coffee shop? Many businesses have a marketing budget each month and so do many coffee shops. It is very important however to decide where to spend this money. Should you pay for a great website or maybe for flyers around town? One of the hardest things is to break the patterns of people. Many of your potential customers will already have their regular. If they are quite happy there then why would they visit you? Why would they take the risk to come into your shop instead of their usual? After all, they don't know it can be better until they have tried it. Word of mouth. They have heard great things about your shop. This might take a bit of time though. Beautiful looking shop front. Your coffee shop looks so good from the outside they just can't resist. Free coffee! This is likely to be one of the most powerful marketing tools. Walk around town and give people a voucher for a free coffee. Don't say much, just mention that you have opened and to celebrate you would like to offer a free coffee. 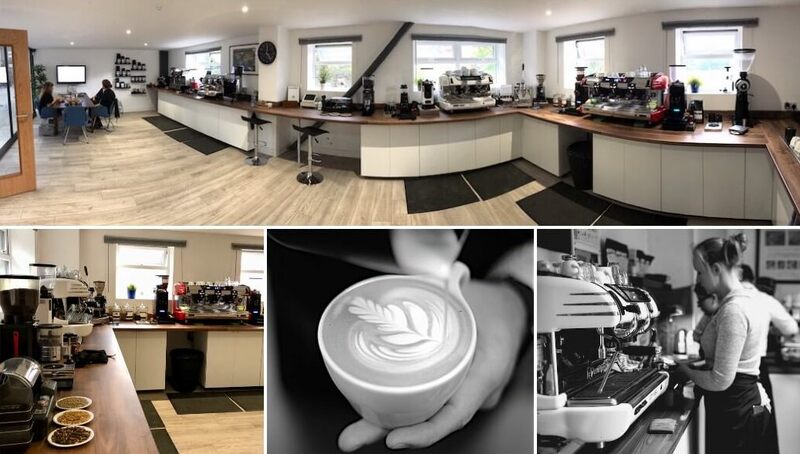 Once they have tried your delicious coffee and experienced your personal and professional friendly service they might just change their regular to you. How much will this cost? Hardly anything and surely much less expensive than a big advert in a local newspaper. Another way to do it is to offer free coffee with any food purchase for new customers. How to start a website for my coffee shop? You can of course design it yourself or get it designed by a webdesign company. A good free option is to start a site with Facebook and/or Twitter and to use social networking to promote your business right from the start. You can also use software such as Weebly. How to market my new coffee shop to get new customers in? The hardest thing is to break someone's daily routine. Most people already have their regular and are probably happy going there day in day out. They want to try some other coffee shops sometimes but it can be a risk for them so they like to stick with what they know. You have to find a way to break in and give them a reason to give you a try. This might be a wonderful review or recommendation from someone they know. But word of mouth can take some time and you need to promote and take advantage of the fact that you have just opened. Imagine you shop at your favourite supermarket all the time. What would make you try another new supermarket down the road? How much do you have to spend on marketing? What is your marketing budget? Do you think you have a couple of hundred pounds available? 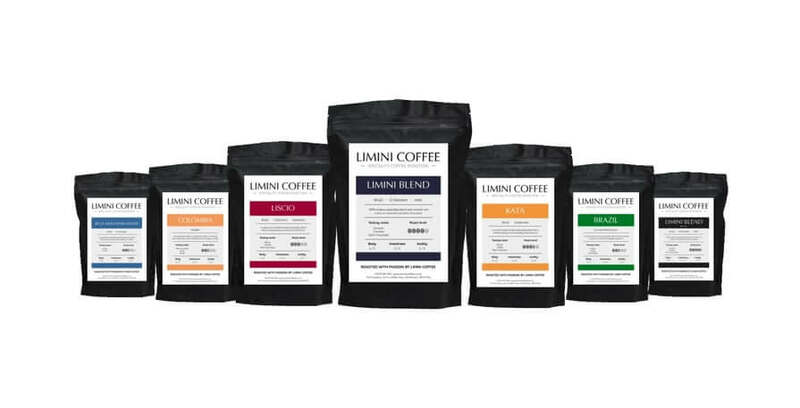 If you have a few hundred pounds for marketing then why not give away a 1000 coffees. It won't really cost you much. Simply go out on the street with some free vouchers that entitle people to any free coffee. Call it a celebration of the fact that you have just opened up and you would like to invite anyone for a free coffee. Now that person has no excuse really not to give you a try. Why wouldn't they try it? And once they're in you capture them with the best coffee and best service in town! Make sure you get people in because an empty shop is not very good advertisement. Is cleanliness really that important? We can not say it enough: clean up. People do not like to sit at a dirty table, it's that simple. Every customer should sit down at a clean table. The table and chairs should be clean and there should be no food on the floor around them. The coffee machine, panini grill, microwave, juice machine, blender, cake display etc. should all be clean. Keep it clean throughout the day, there is no excuse for a dirty coffee shop. 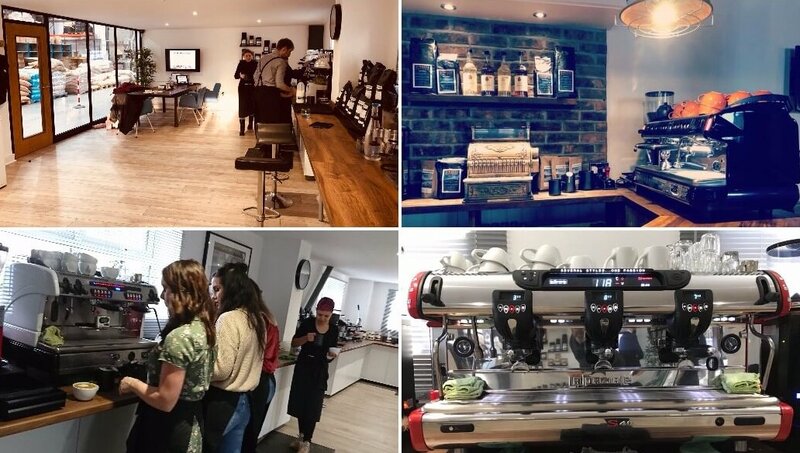 Of course we feel barista training is very important however general staff training such as customer service and health and safety training is also needed. 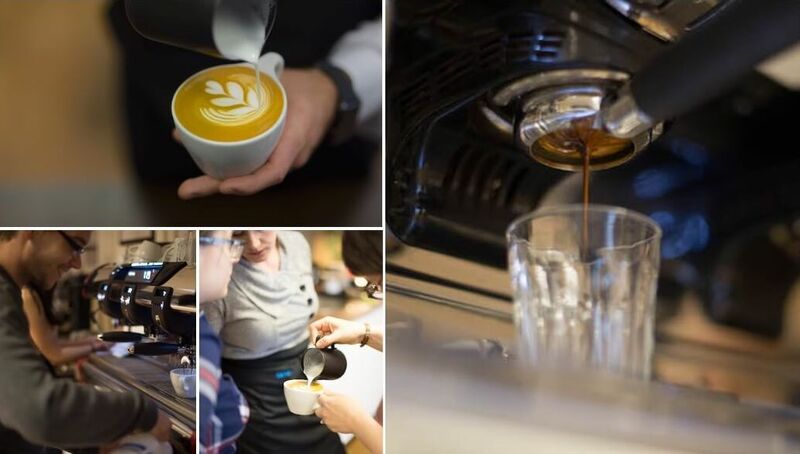 A barista training program could be three or four days of training, two days of training with a trainer and two days practical training where staff practice serving customers. Making a cup of coffee in a training course is different then actually working behind a bar and this should be practiced. Customer service training is also extremely important. Teach your staff how customers should be served. Do you like them to say Sir and Madam or is 'mate' good enough? Should they only serve one customer at a time? How about eye contact and body language? When should tables be cleared and how many baristas should work on the queue at a time? Do your baristas know how to handle a complaint? All these things are extremely important. Of course we can help if you need some help. Please do think about your training program. A great coffee shop really comes together when the staff are properly trained. No matter how good the coffee and the products are, people who visit coffee shops buy on impulse a lot of the time (but not always). A high footfall location should make you busier but it will also give you more overheads. A smaller shop might make it harder for you to build up a regular base to start off with but once you are popular the low overheads will be great. People often go in for the first time because of convenience. The coffee shop just happened to be there at the right place at the right time. If you become more specialised though and you get a good word of mouth then your customers will be more willing to travel. Finding a prime location is extremely important and sometimes well worth the investment. A prime location doesn't always mean the busiest one. The customer on the high street is usually a little different than a customer on a side street. The more specialised you become the less important the location as people will be willing to travel once they know about you. Location is not everything, but it is extremely important. Make sure that the shop stands out from the crowd. Outside seating is fantastic and can seriously boost your sales. A good sign outside clearly displaying your shop is very important. Having seating outside is great but make sure that it sends the right image. Dirty tables with full ashtrays are not going to attract any customers. Lovely plants and a well organised seating area do! What makes you special? Why should people visit your shop? Do you know the answers to these questions? We hope so and if not then it might be a good idea to think about them. How much does it cost to run an espresso coffee machine? We have added an electricity meter to our La Spaziale S5 espresso machine and for four days we have measured the electricity cost working at 13 pence per unit. When we are not running a course (which hardly ever happens :) it only costs about £0.80 per day. When we are running a course and use around 2kg of coffee and make lots of drinks it was no more than £1.60. Starting up the machine in the morning was about £0.10. There you go. We hope this helps a lot of people! How to make a rota for a coffee shop? You can use software online to develop staff rotas quite easily and relatively cheap. One of those is a service called RotaCloud. Be sure to stick to your labour budget. That means you need to estimate the weekly sales and allocate a percentage off that to your labour cost. There will be times in the day that are relatively quiet. Those times should be used for breaks and random jobs such as putting orders away, marketing and training. Ask staff to notify you as early as possible for preferred days off. It will be much appreciated if you are able to plan the rota around this. If you have a morning and afternoon shift then try to give people as useful shifts as possible. For example, put a barista on a Monday morning shift, Tuesday off, Wednesday off and Thursday afternoon back to work. That way your staff gets a really long and nice time off. What are the right size cups? The espresso goes really nice in a small 3 oz cup that has thick walls to keep the heat. We think that a great cappuccino cup is 6 to 7 oz, round and thick. The caffe latte, caffe mocha and hot chocolate go nicely in a slightly taller cup and maybe a little bigger than the cappuccino cup. Should I offer regular, large and/or extra large coffee sizes? That is totally your choice. The emphasis should really be on traditional sizes that make the coffee taste best. 6 to 8 oz cups deliver the best flavour. You can always offer a larger size, yet we would recommend not to make such a big deal out of the large sizes. Speciality coffee is about the flavour, not the quantity. But when it comes to sizes, try to keep it small as it will produce better tasting coffees and your customer will not feel too full when they finish the drink. Big cups are not always good. Give people value for their money, not quantity. Better to serve two regular coffees than one large one. Quality products, speaks for itself really doesn't it? Although, how do you know that you have good products? Do you count the number of complaints or do you look at the compliments? Let's face it, many people will not say anything, whether it's good or bad. The best way to know is probably some kind of feedback system. Find a way for customers to give feedback anonymously. Maybe a letterbox where they can drop of a feedback card. Hand your customer a feedback card when you give them their coffee and mention that you would appreciate some feedback. Another method is a mystery shopper. However, you can have a different kind of mystery shopper. What about a mystery shopper who sits in your shop and drinks a coffee. How long would it take to pick up a conversation between other customers? People often discuss how well they like the product and it's really not that hard to find out when you sit in a coffee shop and drink a coffee. We are not saying that you should listen in to conversations or anything! We, as the coffee people, often speak to people when we visit the coffee shops of our customers. It's a great way to find out how the customer is liking the coffee. People enjoy giving feedback and it's easy to see if people are really excited about something. Our customers often get positive feedback about the coffee all day long. They don't have to ask, their customers go up to the staff and compliment about the coffee and question why the coffee is so good. Find a way that works for you. Find a way to get feedback about your products! What do most people do wrong? Many people who start a coffee shop do not treat it enough like a business. Running a coffee shop is fun, hard work and rewarding. But it becomes a lot less fun when it is not making any money. And when you are not on top of your finances it becomes even less fun. If you then get a tax bill that you haven't prepared for it is really not fun at all! The important thing is to see this as a business. It might be a lifelong dream and once you have the shop it could be the best thing that has ever happened to you. But don't forget that it is a business and with that you get the things that are not so much fun such as paying the tax, hiring and firing of staff, cash flow, insurances, licenses, quality controls and many more. Be on top of this and things get a lot better and you can focus on the things that you really want. Other things that are important are things like training, motivation, people skills, service, experience, attitude, systems, accounting skills etc etc. What is the difficulty about running a coffee shop? Many coffee shop owners struggle to motivate staff and to develop a successful team of people. Coffee shop owners often control most aspects of the business and are afraid to let go of things. The reality is that staff usually like responsibility and will happily take on a bit of extra work. It is very important to work as a team and to make sure that the coffee shop is run by the staff as well as the owner and not just by the owner. Other difficult things are time management. The ability to find the time to work on the business and not just in it. 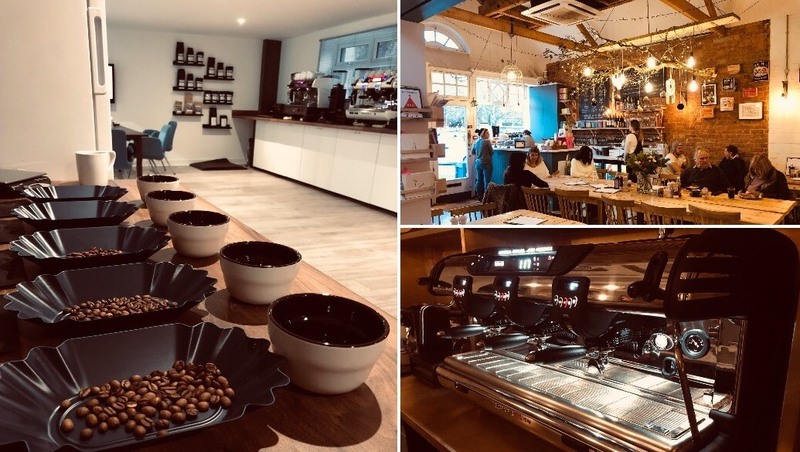 Increasing average spend and making sure that the customer is not just having one coffee is another one that some coffee shop owners talk about. Make sure that you do not loose sight of your dream and stick to your initial reasons why you wanted to start this coffee business. Do however listen to your customers needs and try to please your customers as much as you possibly can. Keep yourself motivated. Once you start a business you will have to motivate yourself and your staff. Find ways to keep it exciting and remember to enjoy the work. Some coffee shop owners struggle with hitting targets. It is important that you understand the figures right from the start. This is something we can help you with. Our courses are here to teach you about the financial model of a coffee shop. You can visit our How to start a coffee shop course here. Once you have decided that a coffee shop is just the thing for you then you need to go out there and find a location. Location is key as you are probably well aware of. We think that the footfall is very important and you need to know how many people go past and whether the location you are going for is any good. Go by a couple of mornings and lunch times and see what the footfall is like. You might even bring a click-counter. Also ask the surrounding offices and retail shops what they would think of you opening a coffee shop. They know their area well and can often give you great insight in whether it could work or not. Make sure that you perform some market research and find out if the market is there before you open up! Passion sells. Quality sells. Products at a good price sell. If you run your coffee shop based on quality service and quality products at a great price then you are very likely to be successful. Serve delicious speciality coffees. Work closely with us, learn all about coffee and how to prepare the best drinks and present them with style and you will have a great business. Care about what you do and how you serve your coffees. Buying the cheapest coffee and working with inferior equipment is false economy. By investing in good equipment and high quality beans you will achieve a higher number of regular customers. And regular customers build your business. Come on a barista course or latte art course and learn how to make the coffee taste extra special. How do you think I should manage my staff? It's rare to find a place where the staff are enthusiastic about their work when the owner is not. You are the one that will make the difference whether the staff are enjoying their job or not. Any job out there can be enjoyable, no matter what the work is. Enjoyment out of work usually comes from the people around you. Try to make the job as much fun as possible. Whether you work in the shop yourself or not, you should show good leadership. Should you know how to make a good sandwich or a good coffee when you work in a coffee shop? Yes, you probably should. There is no need to be the best in everything but you need to come across as if you actually know what you are talking about. Be a good example to your staff. Give your staff incentives and give them different tasks once in a while. Nobody wants to be behind a till for 8 hours. Move your staff around and give them the chance to develop themselves. How do you suggest we layout the bar area? On the design above, people will queue along the grab items and the cake display. The cake display is close to the till so the staff member at the till can grab the cakes. The espresso machine is open and on display. The machine is also close to the till ensuring good communication. The machine is at a 90 degrees angle and the coffees can be poured right in front of the customer. Having the espresso machine extremely close to the customer will create a show and will speed things up big time! The dishwasher is out of sight and has a clean and dirty section for the dishes. The clean section is positioned next to the machine making it easy to load up the machine with clean cups. Many coffee shops will go automatically for counter service in their coffee shop. It is often seen as the standard, especially for the high street where it is expected to be busy. Counter service is seen as quicker, easier and often people think that it requires less staff compared to table service. The truth is however that it has a lot of downsides compared to table service. There is often a lot of pressure in the queue for the customer and the barista for example. Many times a customer will order just a coffee because he or she is holding up the queue. The menu and offerings can be a little overwhelming in a short space of time and because of the pressure of the queue the customer orders a lot less than originally planned. Counter service usually gives you less takings compared to table service. You probably won’t agree but lets have a look at the practical side of things. With counter service the pressure on the barista can be hard when there is a queue. We believe strongly that the espresso machine and the barista should be easily visible by the customer in any kind of coffee shop. This does mean however that many people in the queue will watch the barista make coffee. Sometimes this can stress the barista so much that the quality of the drinks drop. Drinks are being rushed and the customer who has been waiting extra long now get’s a less tasty drink than when its quiet. There is nothing worse than waiting extra long and receiving something of inferior quality. The layout of the coffee shop has to be designed around the counter service as well. Your customers should queue alongside all your products which means that pretty much all your sandwiches, cakes and confectionery should be on display. People will spend more when they can see the products in front of them so you have to design the counter around this thought. The counter can therefore take up a big space of the coffee shop, space which could be filled with extra tables and chairs giving you higher takings. A counter with a long queue might make people decide to not enter your coffee shop; sure it is great to look busy and successful although you can also look too busy and lose sales. If everybody that was in the queue was sitting down then your shop would still look busy yet there wouldn’t be any long queues and as long as there is space people would be more likely to come in to the shop. When people are sitting down for a minute waiting to be served they can have the time to acclimatise to the shop and have a good look at your menu. This will make them feel relaxed and when people are relaxed and have the time to look at your menu they will spend a lot more money; and more importantly they will order what they planned on having in the first place. Of course it is important to acknowledge the customer once they sit down and to let them know you will be with them shortly to take their order. This is also where table service is so much more personal. There is one host walking around and as soon as customers walk into your shop they are being greeted and welcomed. With counter service a customer might not be acknowledged by the staff until they have been in your shop for a full two minutes. Many of our customers have table service for their coffee shop. When I speak to them and ask about the average spend of the customer I pretty much always hear of a higher spend compared to a counter service. With table service people often have a coffee and something else. Most counter service coffee shops have customers just drinking coffee. A customer who just drinks one coffee in a busy coffee shop and sits for a full hour could cost your dearly. Table service allows you to turn tables over quicker as well. If you are busy and need some tables free then table service is fantastic. It is much easier to talk with a customer to see if they would like anything else. If not, then the bill comes a minute later. This is usually enough for people to realise that a table is needed. In the end, table service simply turns over tables so much quicker and turning tables over quickly is extremely important when the shop is full. Table service will give the customer the chance to order something else. Once a customer has paid for an order they are very unlikely to order and pay again for something else. With table service however the tab is still open and it is easy for the customer to order another coffee. The great thing with table service is that it increases the average spend. Because the tab is open and the host talks to the customer, it is easier to upsell and to receive some feedback on the products. Some might argue that take-out doesn’t work very well with table service and I would agree. Although there are ways around it. You could have a little take out counter area where customers could be served for take out only. You could even have a hatch which is designed for take outs only. Take out service is a little harder with table service but then again, most people think they offer a lot more take out then they actually do. Another downside of table service could be that the customer is not seeing the coffee being made. We believe that making coffee is an art and can be a great show (think of latte art for example). With table service you might lose this a little. A great way around this is to have the espresso machine inside the serving area, not behind the counter. This is a little controversial but it could be fantastic if designed correctly. All you need is to place the espresso machine on the end of the counter/kitchen with the machine facing the inside of the shop. Place it so that anybody in the coffee shop can watch the barista make coffee. Of course you have to consider safety options here. If you do it right then it might even invite customers to have a chat with the barista about coffee. A simple sign saying ‘Feel free to have a chat with the barista about coffee’ might please those customers who would like to know more. It is different but different can be great! And of course it would really help the flow. Coffees do not have to travel far to the tables and if you position the dishwasher right behind the espresso machine (out of view) then washing up cups and placing them back on the top of the machine is easy. Don’t forget how important this is as it can really slow things down when the dishwasher is in the wrong place. Some people will argue that table service needs more staff. You will find that this isn’t always the case if you have a good layout. If you design the counter so that even the host (the person waiting the tables) can make coffee, reach for cakes, muffins etc. then you can really speed things up. You could have a till that spins around so the host can always reach it from inside the serving area. The cakes are all on display for the host to reach. In the end, you would need someone at the till anyway which can now be the host. And if you are really clever and design the shop carefully then you might even be able to have both counter service and table service available. You could have the espresso machine on a rotating disc so it can turn around for table or counter service. The same goes for the till. It may sound crazy but I am sure you can do it with a little planning and thinking ahead. It is all about making it work for you. The goal is to make your customer feel at ease, spend as much money as possible and optimise customer flow as much as possible. And of course, to serve delicious coffee!